UC Browser, world’s No.1 third-party mobile browser and a content platform, has announced multiple in-app activities in a bid to meet rising demand for cricket content during the latest edition of Indian Premier League. UC Browser, part of Alibaba Digital Media and Entertainment Group, is partnering with legendary cricketers Virendra Sehwag and Irfan Pathan for the course of IPL, starting March 23. The two cricketers will be cheering and supporting their respective teams on the UC platform. Exclusive cricket-related short videos, GIFs and memes will also be available on UC Browser. Leading smartphone maker OPPO is lending its support to the campaign as a sponsor. UC Browser is also offering cricket fans and users a chance to win a total of 1 crore rupees by participating in an exciting Play &Win Game on the browser. 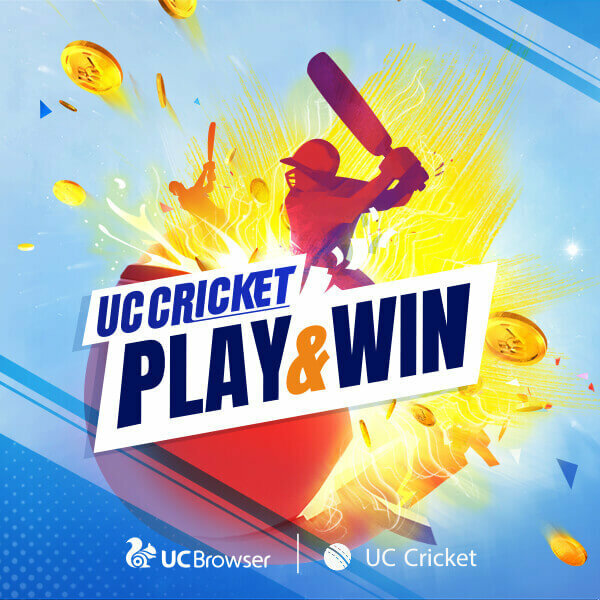 Virendra Sehwag and Irfan Pathan are challenging UC users to participate in the game and take the Captain versus Users challenge. For the first match, Virendra Sehwag is placing his bets on RCB whereas Irfan Pathan expects an easy win for CSK. Users can also guess the right answers for every match and win UCoins, which can be exchanged for Paytm Cash. UC Cricket, UC Browser’s in-app channel for cricket content aggregation, offers all-in-one live cricket content, including live scores, news, videos, photos, live commentaries and more. UC Browser will also be launching a new campaign to select UC Miss Cricket, giving its 130 million monthly active users another reason to get on the platform this cricket season.While users follow the updates of their favourite team and players on UC Browser, they can also pick cheerleaders to support their beloved teams. UC Browser will be shortlisting contestants from all the entries received. Users get a chance to vote for their top pick through their mobile app. UC Browser will reward the most-voted contestant with a cash prize and winners will enjoy exclusive entertainment industry resources and public exposure provided by UC and its partners. .OPPO is the exclusive sponsor for the campaign.